Hey friends! Over on the Paper Issues blog we are linking up 'Learning Curve' projects! Fun, yes??? Why don't you link up something you've made that could fit this theme?! Learning Curve covers are variety of possible themes: school related, new driver, maybe you're learning a new hobby? 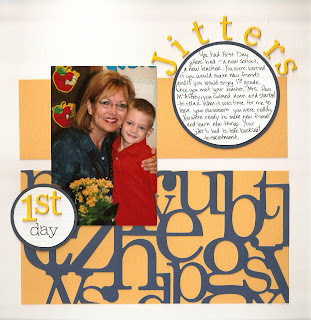 Today I am linking up an older layout. This is one of my favorites because it is clean and simple. 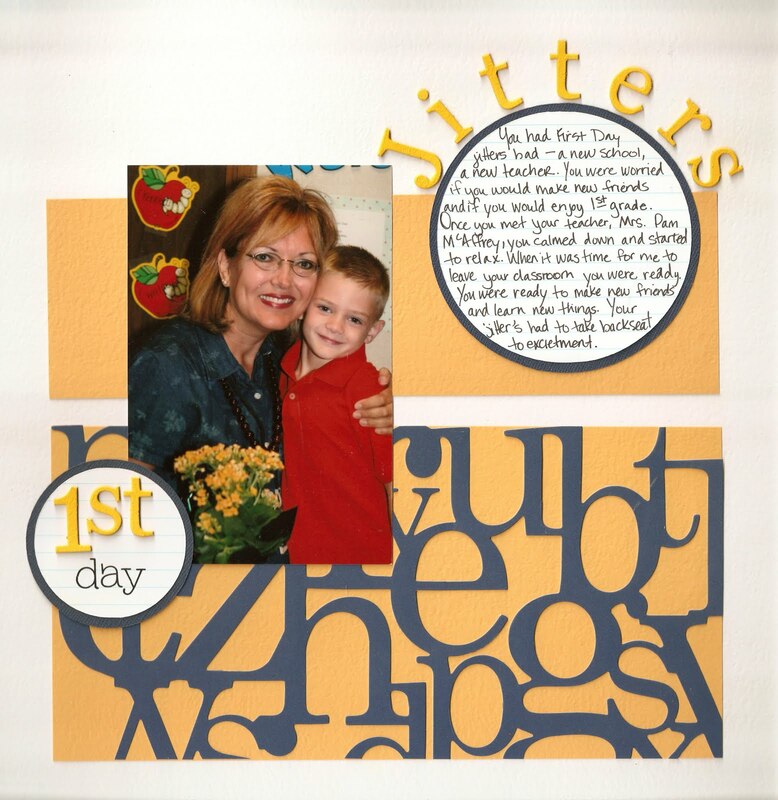 I remember making this page on John's first day of 1st grade at a new school. I was so worried and scared for him! I shouldn't have, though. He did amazing well, and his teacher is still one of our favorites! Fantastic layout! I love the way you did the title, and the diecut alpha sheet at the bottom pops perfectly on the page, love it! I looove the title on the curve!